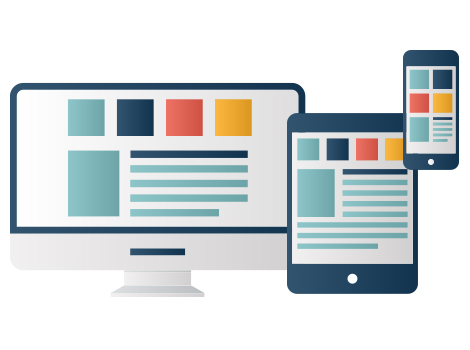 Responsive Web Design – Death of the Desktop? The BBC said that the crucial move reflected the changing way in which the majority of its visitors consumed their news, a wider reflection of the general turn towards responsive websites that display and function optimally on any device. Desktop-based visitors to BBC News have been able to use the new responsive website for a month or so but now will be automatically directed without option. Around 65% of visitors use mobiles or tablets to access the site, according to Robin Pembrooke, Head of Product at BBC News. “Moving to a fully responsive solution which works across mobile, tablets and desktops is the way to go”, he said. In related news, leading internet technology company comScore have just released figures from February 2015 that show the top 20 news and information websites saw a ‘substan­ti­ally higher percentage of audiences via mobile-only than desktop-only’. Google, followed by Facebook, ranked as the highest media property and 63% of its visitors used a combination of mobile, tablet and desktop to access the site. Responsive web design is essential to keep your website visitors engaged, your bounce rates low and your search engine ranking high. Google’s update, which came into effect on April 21st 2015, will have a ‘greater impact’ than Panda or Penguin on search results (as stated by Zineb Ait Bahajji of the Webmaster Trends Team at Google) and Brick can provide you with a responsive website is totally mobile-friendly to meet these new criteria. Call Brick technology today to find out how we can make your business complete with contemporary responsive web design.